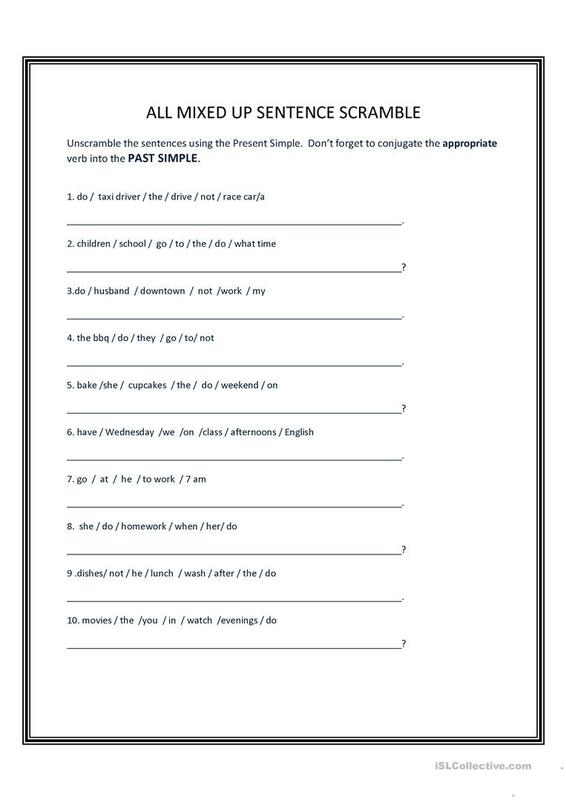 Ss need to unscramble the sentences and conjugate the verbs properly. I use this after I've taught past simple verbs in the affirmative and negative forms , yes or no questions and wh questions. This ws can also be used as a timed game. The first pair of Ss to complete the ws without errors wins. The above downloadable printable is meant for business/professional students, high school students and adults at Pre-intermediate (A2) and Intermediate (B1) level. It is valuable for practising Past simple tense in English, and is useful for strengthening your groups' Reading and Writing skills.